This is my all-time second favourite book. It's the story of Cassie, who, having recently discovered her husband was unfaithful, jets across the world to stay with her friends in New York, Paris and London to rediscover herself and make her own new life. I really love this book; it's so heartwarming, it's set in 3 of my favourite cities, and it makes me laugh. It's that perfect cosy, easy read, that isn't predictable and will make you want to travel! I really love this book! Another favourite by Karen Swan (I adore her books at Christmas) - this is a story about a woman called Clem, who spends time in London and in Italy, hiding a secret that she fears will disrupt her entire life. Again, I love this one too - it was a real page-turner! It's the kind of book that will make you picture yourself away by the sea in the warm weather, but still enjoying the cosiness of Christmas. This book begins on New Year's Eve, with three women who don't know each other randomly finding each other at a party; little do they know they will feature in each others' lives and become very important to each other. Each has a problem they need fixing which will change their lives and help them to discover who they are. It's a great one to read as you ring in the new year - very inspiring and uplifting if you want to make a change. This is a mash up of stories by three different authors, but the stories interweave and overlap. It's all set on a snowy, blizzardous night just before Christmas. Three different people will have their lives changed with wonderful holiday romances. It's a really magical story that'll make you feel very festive and happy! You can't not have this on here can you? Harry Potter is always a series I'll want to listen to, read or watch at Christmas time because I associate it with Christmas; the first film came out around Christmas and I got the first book on audiotape one Christmas. It's so special and cosy and wonderful; it's probably the magic. Following on from the main book, Dream a Little Dream, this book is set around Christmas time with the main character, Sarah, now facing some big stresses in her life: mainly that her housemate decides to move out, and her boyfriend is hiding something. It's a very short and sweet novel that you can fit in any time that'll give you a burst of festive spirit. Another Karen Swan book, but they're perfect for Christmas! This one follows Nettie, who is struggling to come to terms with a loss in her life, as well as the fact she has managed to grab the world's attention through her work, as well as the gaze of a famous bachelor whom everyone adores - but how does she hold it all together? Another heartwarming story in one of my favourite parts of London, it's very upbeat and will make you laugh. Lastly, yet another one by KS. It's about two couples up in Canada, one of whom are about to get married before a polar storm occurs, and tragedy hits. It's a story about love, bereavement but also about reinventing yourself when the worst happens. I'm actually currently reading this and really enjoying it! 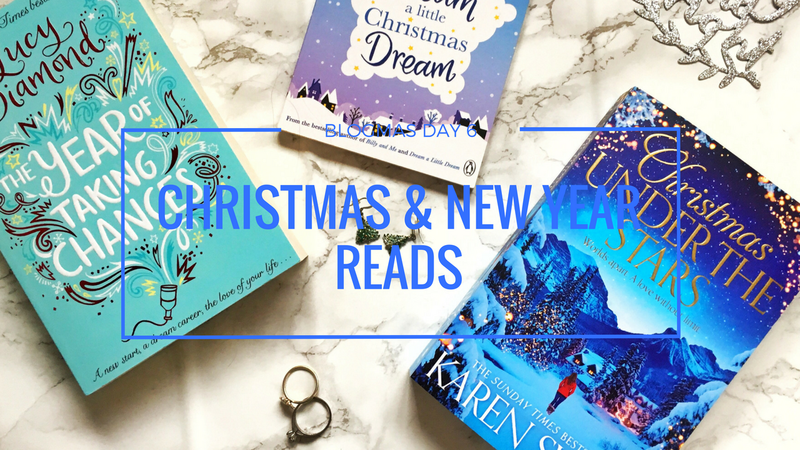 What are you reading this Christmas and New Year?